Welcome to The Three Drinkers press hub. 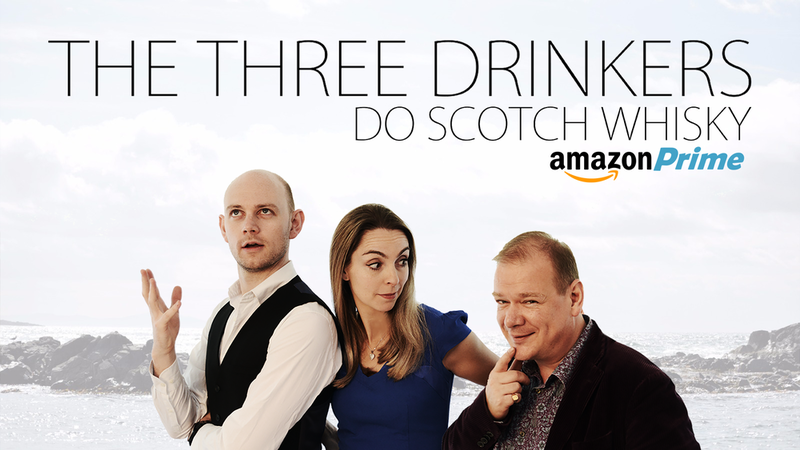 The Three Drinkers do Scotch Whisky is a drink- focused travelogue, where three friends embark on an adventure through Scotland. From Dufftown to Islay, they journey through breath-taking landscapes as they visit some of the newest and most historic distilleries in the land. From reindeers to Scottish dishes you can’t even pronounce, the series is packed full of humour, personality and flavour. Deemed by critics as the ‘Top Gear of drinks’, The Three Drinkers is for a new, global audience, from twenty one to ninety one. Three friends, zero pretence, 100% edutainment. The series includes four episodes in total, the first three of which were filmed in Islay and the highland regions of Scotland including Speyside. Within these episodes, The Three Drinkers showcase the distilleries, the people and the incredible landscapes of the country. The fourth episode was filmed in London taking in key landmarks as the trio visit a selection of iconic whisky and cocktail bars. Consumers today expect much more when it comes to the products they buy. They want an experience; to feel inspired and emotionally connected to something they drink or eat. The growth of streaming services such as Amazon Prime, Netflix and Hulu make it much easier for these products to come to life. And why Scotch? It’s experiencing an all time high in terms of global popularity. According to Forbes, export sales reached over $5.5 billion in 2017 and Scotch sales grew 8.9% by value. While scotch accounts for over 20% of the UK’s food and drink industry, the US remains the largest importer of the dram with over $1.1 billion in Scotch whisky sales. 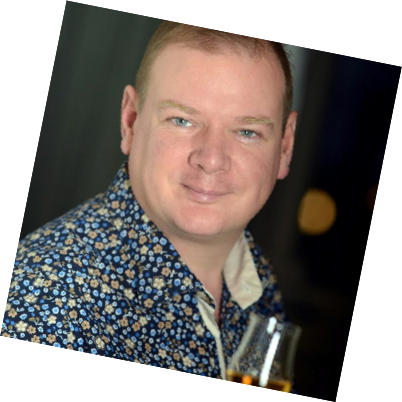 Aidy (Adrian) Smith, is a wine and spirits presenter/personality with a key focus on the modern drinker. As the wine and spirits columnist for The Independent and official Brand Ambassador for Vivino, Adrian has spent his career developing a fun and curiosity-peaking mind-set to drinks. Cutting through the clutter Adrian has developed a tight-knit Instagram community (one of the largest in the country within this arena), fostering the growth and development of like minded individuals to promote the industry. Known as Sypped, Adrian is known for his interactive guides, ABC education, masterclasses and anti-snobbery approach. He also frequently advises and consults brands on their Instagram strategies. Publications Include: The Independent, Vivino, The i Newspaper, Sypped & more. Colin Hampden-White fell in love with wine and spirits initially through his award-winning photography, which has been exhibited extensively in London, including the National Portrait Gallery and Manhattan, winning the Louis Roederer Award for Artistry along the way. Working initially for the Scotsman, The Times and Financial Times, he became the founding editor of Whisky Quarterly magazine and continues to write for LUX and Condé Nast. Colin is a Keeper of the Quaich, judges for the International Wine and Spirits Competition and is Chairman of the Circle of Wine Writers. Publications Include: SquareMile, LUX, Whisky quarterly, Winerist & more. Helena Nicklin is an award-winning wine and spirits writer and presenter with sixteen years of experience in all aspects of the trade. She writes for various online and luxury print consumer titles such as Savile Row Style Magazine, Clos19, Winerist Magazine and entrepreneurial website TalentedLadies.com. She regularly presents at consumer fairs such as the Ideal Home Show, appears as the drinks expert on live TV and radio and sits on various panels for tasting competitions. Her goal is to make the world of wine and spirits more visual, accessible and fun. Publications Include: Savile Row Style, TalentedLadies.com, Winerist Magazine, Clos19 & more.